Man City with the Stars! Executive Global tours are putting together the trip of a lifetime. Visit the home of the Premier League, and watch some of the best players in world soccer. Take in reigning champions Man City, bidding for more silverware, with our tour. Feb 24th. Caraboa Cup Final at Wembley Stadium to see City lift their first piece of silverware. Feb 25th. Golf day 1. 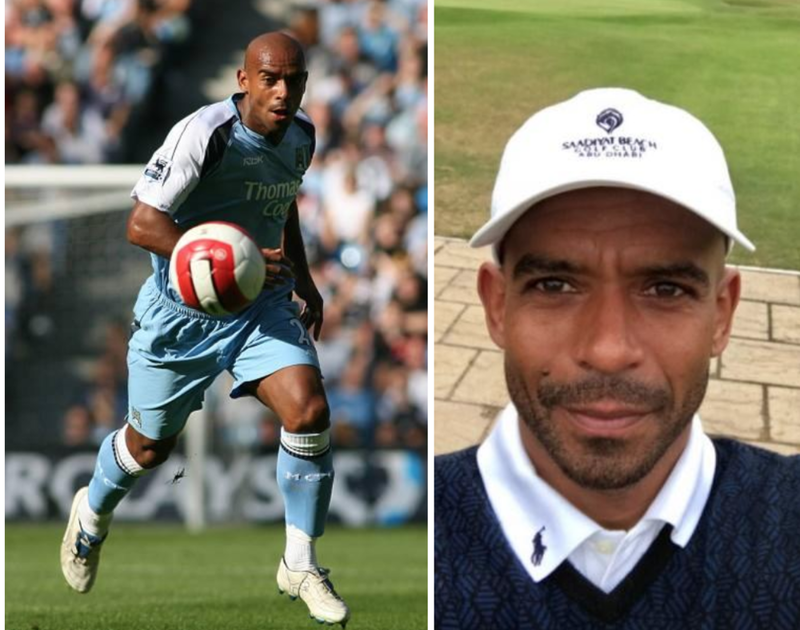 Spend the day with City heroes Shaun Goater, Trevor Sinclair, Paul Dickov, and Ian Bishop.18 holes of golf, Dinner, drinks and socialize with the City Legends. Feb 26th. Golf day 2 at one of Southport’s top courses. Feb 27th. Premier league game day. Man City v West Ham at The Etihad. Hospitality and mingle with other City legends. Feb 28th. Flight back to NYC. Ian Bishop had two spells at Manchester City where he is best known for a scoring and starring role in a 5-1 victory over rivals Manchester United in 1989. In total he played over 700 first team games in the English Leagues and Cups scoring 42 goals as a central midfielder. Trevor Sinclair was one of the most versatile wingers at the club, able to play on both the left and right flanks and making twelve appearances for the England national team, including four at the 2002 FIFA World Cup. He retired in 2008. Shaun isn’t just a cult hero of the City faithful, he is a member of an exclusive group of players to have scored 100 times for the club. He spent five years at City and in his time there helped solidify Premier League status, after the club had dropped to its lowest position ever in the third tier of English Football. The Bermudan striker endeared himself even more, by putting away some memorable Derby day goals. Including his 100th in a 3-1 win. In 2000 Shaun was given the Freedom of Bermuda, and was honored by the Queen when he was given the MBE. Paul signed for City in 1996 and witnessed the highs and lows of the club through his time there. One of the hardest working strikers in the game, his energy and never say die attitude originally endeared him to the City fans.It was something else that immortalized him in City history though. May 1999 and all hope gone, with 90 minutes on the clock, the team was dead and buried. 2-0 down and an empty City end at Wembley Stadium, the team pulled off the impossible. Kevin Horlock pulled what many thought was a consolation goal back, until Paul struck in the 96th minute to take the game into extra time, and the rest is history.